Grinding: traditional grinding with balanced aroma and excellent body. Good appearence with guaranteed final result. Chocolate aroma. Preservation: best before 24 months from production date. Packaging: to deal as indifferentiated waste. Carton: to deal as paper recycle. 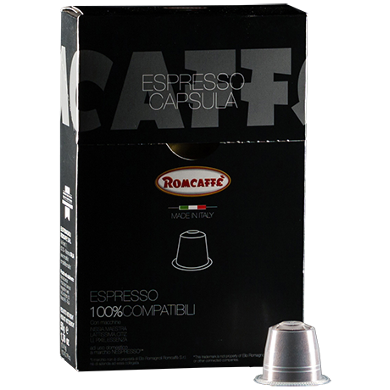 ** This trademark is not property of Elio Romagnoli Romcaffè s.r.l. or other connected companies.